Many individuals may consider themselves an artist, no matter whether strumming a guitar only once a month or dedicating several hours a day to improving himself or herself as a musician. However, if you are truly motivated toward the goal of becoming a career artist, there are certain steps you can take to push your career forward as a serious, dedicated musician. Start a company and open a business bank account for it. This action will mark you as a professional, not a hobbyist. Also, opening a business account may protect your personal assets, has tax advantages and costs no more than $500. These agreements are critical under the Copyright Act, preserve the co-composer relationship when the money comes in; ward off outside pressure about who should be making what, and they cost only $350. These agreements clearly define how any income should be divided, are essential under the Copyright Act and the agreement only costs $350 to acquire. Copyrighting your music helps you declare clear ownership if a dispute were to ever arise or if you were to become involved in an infringement lawsuit. Registering a copyright only costs $35 in government fees or several hundred dollars if you hire a lawyer to handle your paperwork. Make and post a music video under a written Video-Producer Agreement. This type of agreement makes certain you own the video under a written agreement and gives you a bargaining leverage with a record label. 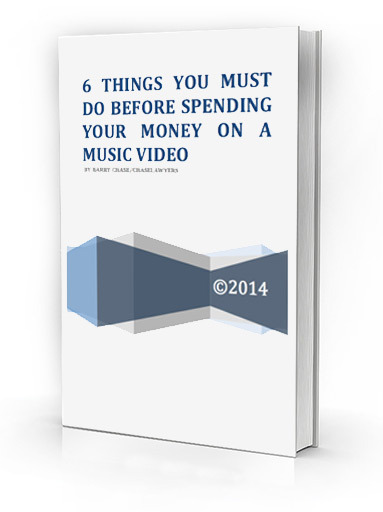 Posting videos may help you create a larger fan base for your music and act as a market-test for you. The cost of a video-producer agreement is $750 and over $2,000 for the video. Chase Lawyers is a boutique entertainment law firm that advises and represents clients in legal matters related to music, sports,television/film, visual and literary works, modeling, online matters and intellectual property. If you are planning a music career, contact our entertainment lawyers in Miami today to ensure your path to stardom is a smooth one!